Chavan also said several media reports indicate that that now the actual budget for farm loan waiver has been reduced by Rs 10,200 crore to Rs 24,000 crore. NEW DELHI: Terming it a scam, the Congress on Tuesday asked whether Maharashtra Chief Minister Devendra Fadnavis will order an impartial judicial probe into the 22 lakh "ghost accounts" as claimed by his government, out of 89 lakh beneficiaries meant for farm loan waiver. "The Maharashtra Chief Minister and his government has claimed that about 22 lakh accounts meant for farm loan waiver (out of 89 lakh beneficiaries) are fake, bogus and are ghost accounts. 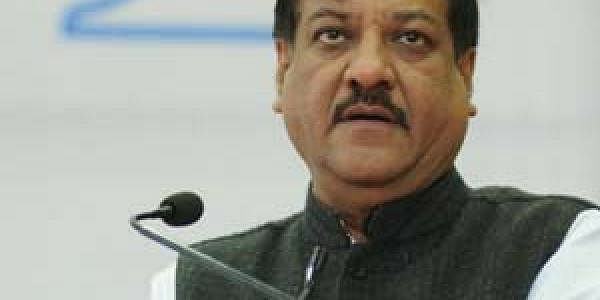 "The much-hyped farm loan waiver scheme announced by the Maharashtra government in June this year was expected to benefit 89 lakh farmers across the state," said former Maharashtra Chief Minister Prithviraj Chavan, noting an amount of Rs 34,022 crores was to be disbursed to the debt ridden farmers by October 31. "The implementation of the scheme has come as a rude shock for the small and marginal farmers of the state. BJP's deception can be gauged by the mere fact that banks (both public sector and co-operative) who were supposed to waive off the loans, were found to have inflated the number of farm loan accounts by about 22 lakhs. "These 22 lakh beneficiaries are now termed as ‘ghost accounts' by senior officials of the State Bank of India, as per media reports," he added. He said he had written to the Reserve Bank of India Governor, citing several instances which gave specific examples of such ‘ghost accounts', but not received any reply. "It is quite possible that there may be a problem in the state government's online application process and not in the bank data. There are also issues about the uniqueness of Aadhar numbers, where several beneficiaries have said to have the same Aadhar number," he added. Chavan also asked if Prime Minister Narendra Modi, "who continuously makes tall promises of doubling the farm income of farmers in his Gujarat rallies", order a probe into the matter.